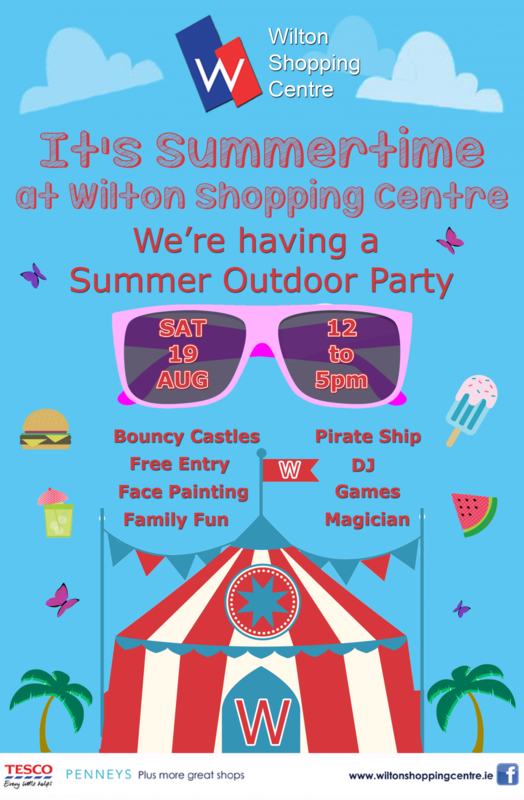 We are holding our Annual Summer Outdoor Party on Saturday 19th August from 12-5pm. The annual Outdoor Party will be held in the Centre car park and is free on the day to shoppers and all donations will be going to the Cork City Hospitals Children’s Club. Children can enjoy a variety of inflatables such as a large obstacle course, a castle with a slide and a pirate ship which can hold up to 15 children at a time. And for the big kids among us, there will be giant board games such as giant jenga and Connect 4 and a rodeo bull for both adults and children to try and not fall off that rocking bull! The party will be hosted by our DJ and who will be holding lots of party games for the children and adults to join in. There will also be balloon modelling, face painting, magic tricks, games and music.